NICOLE RICHIE NEWS: Nicole Richie turns 28 today ! Nicole Richie turns 28 today ! ** Nicole Richie is 28 years old today ** This got me thinking .. What do you get the girl who gets everything? As Nicole Richie deserves only the best gift from her fans. Here are the two best gifts we can give to Nicole Richie. This campaign helps to raise funds to help kids through a new kind of fundraising – with a simple text message. Each text message donates $5, billed to your phone bill. This is the first time a campaign is using popular culture mass media to raise funds with the new technology, so The RichieMadden children's foundation is excited to see how much they can raise. The first thing we want to do is build a playground at Beyond Shelter. Their service enriched apartment building in Los Angeles has families with 175 kids in it, most of whom were formerly homeless. They’re playing in a concrete courtyard. We want to build them a playground – and you can help! 100% of your $5.00 donation goes to The Richie-Madden Children’s Foundation to support programs like the playground at Beyond Shelter. Standard text message rates also apply. Or you can donate directly to Nicole Richie & Joel Madden's charity.. 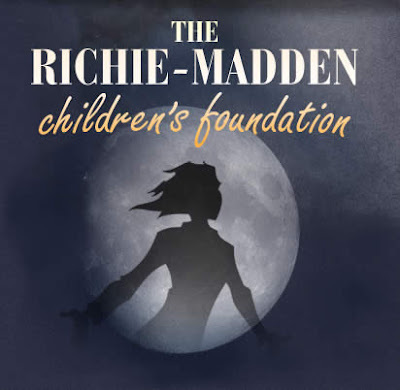 The Richie-Madden Children’s Foundation is dedicated to bringing meaningful opportunities to children in the U.S. and abroad, while also striving to bring light and laughter into their lives through unique entertainment and special events. We want to do more than write checks. We hope our support will shine a spotlight on important issues facing children and will inspire and educate the public, especially young people, to get involved. Donate to The Richie-Madden children's foundation here! I hope Nicole Richie has an amazing birthday, i'm sure she will spend some quality time with her family & friends.